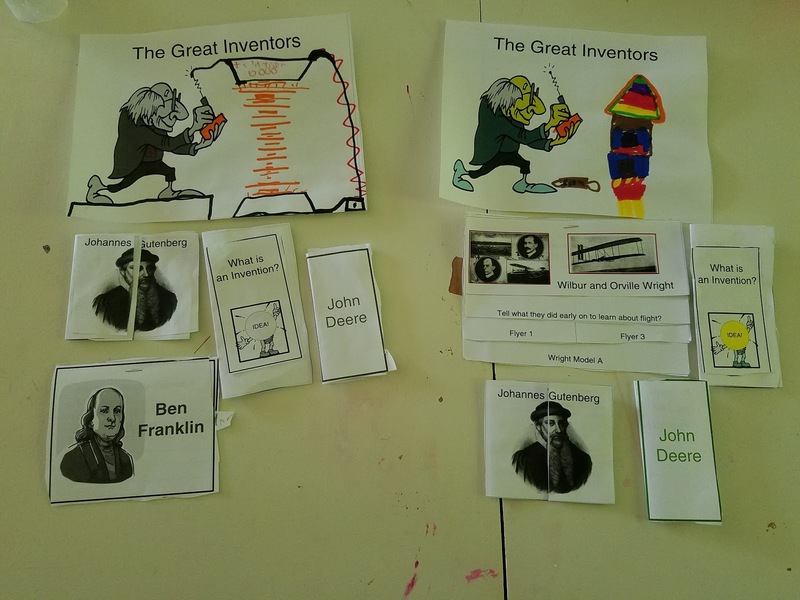 This year has started out strong because instead of using usual workbooks, we reviewed a lapbook study, The Greatest Inventors, from A Journey Through Learning Lapbooks. We started school a few weeks ago so we have been getting into the swing of a routine and usig a lapbook has been a unique way to get in fun learning. This lapbook is great for those that like things spelled out for you. It has everything you need but also allows you to jump off and dig in, if you desire. This lapbook is for grades 2-8. My daughter is roughly 2nd grade and my son is roughly 5th grade. The difference between them is that I helped my daughter write in her lapbook while I expected my son to do it independently. I did read the information for Kaelyn and Sebastian happened to be there while I was reading, but he could have read it on his own, without help. In The Greatest Inventors, you will learn about many great inventors, most of which my children had heard about at some point, although Sebastian was the only one who could remember what I taught and that is probably because he is older than Kaelyn. It was a nice change of pace to do a lapbook! Each inventor has a page of information to read about and then a minibook to be made and put in the laobook. Some of the inventors also have additional optional activities to do with your children. With Johannes Gutenberg you could make a typeset printer with your kids. They also encourage the kids to come up with a new invention, adding in more creativity to the unit. Sebastian doesn't particularly like writing, but he did it for the lapbook. Towards the end of the PDF file, there are many "bonus" pages. There are ways to expand the lapbook study. These pages include reading list, graphic organizers, and narration pages for younger and older kids. "I liked it because of all the crafts and cutting. I liked that. 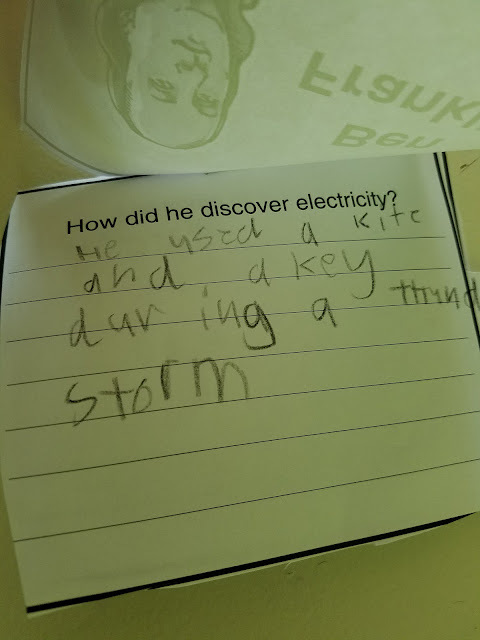 I learned about inventing things and I also learned about the people that invented things." ~Kaelyn, age 6. She enjoyed reading about John Deere the most. "I thought it was okay. I knew most of the stuff that they taught already." ~Sebastian, 10 (an AVID reader). I liked the fact that it was self-contained. I didn't need to get anything extra unless I wanted to go beyond what was in the study. It kept it simple enough for me to do it well and to not give up. I have a hard time with having to plan, get supplies, and implement so this lapbook was a breeze for me. Although I didn't do much extra with this lapbook, the one thing I did was have Sebastina write key word outlines about some of the inventors and write a summary report. Having a page of information at his fingertips made it easy to focus and get a short summary written without much rage-induced crying on his part. He doesn't like to write, but dictation works for us and having this lapbook helped us work on his writing as well as giving him things to read and learn. The Homeschool Review Crew received this lapbook and other lapbooks offered from A Journey Through Learning. Click on the banner below to read what others have to say about the products.